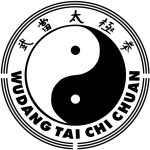 Pushing Hands is a section of the Tai Chi Chuan syllabus. Pushing hands always involved two persons and are either predefined drills or a freestyle practice of technique. Training in understanding jin (勁) – force. This includes 13 tactics (十三勢) which comprises the 8 forces (八勁) and 5 steps (五步), ting jin (聽勁) – listening for jin, hua jin (化勁) – using jin to redirect the opponents jin and fa jin (發勁) – discharging jin.